Demand for rental accommodation in Bunbury continues on the back of employment opportunities in tourism, heavy and general industry, mining, community services and transport. Many people attracted to the area want long-term rentals as they seek to establish themselves as permanent residents, while others need short term. Either way, they all want good quality accommodation. If you own a property and need an experienced property manager, there are a few keys things to look for to ensure your asset is value adding. Quality property management rests on careful selection of tenants, regular property inspections and communication with the owner. The team at Bunbury Real Estate are experts in all these areas, and are ready to provide a free appraisal when you click a button on their web site. Are you looking for property to rent? We know the local property market and can help you with accommodation choices from houses to furnished apartments to suit your needs and budget. Our free newsletter details all the properties we have available and is an invaluable resource to anyone wanting to rent in the area. Our property management staff value good tenants and will always do our best to find the property that is right for you. Can’t Decide if you Should Rent out your Property? Home owners rent out their properties for a number of reasons including investment earnings, to keep a base in Bunbury while they work elsewhere for a while or other life event choices. The dilemma they face is to either leave the property vacant or rent it out, and sometimes that is a difficult choice. An occupied property is always better cared for than one left vacant, especially when it is managed by our professional staff. A great place to start is to find out what income it could earn and this is as simple as making an appraisal enquiry via our website. 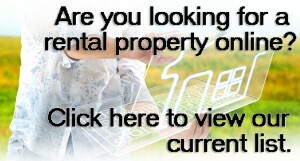 Request a rent appraisal online today! We are proud to provide a free rent appraisal report on all Bunbury properties, allowing you to see how much your house or furnished apartment should fetch from potential tenants. Our rent appraisals are accurate and up-to-date with the latest industry and market trends, providing you with figures you can rely on. When it comes to renting in Bunbury, always turn to BunburyRealEstate.com.au for the very best real estate services online.